Precious Cargo, 2016. Indian ink, indigo ink, charcoal dust on Chinese mulberry paper, 24carat gold leaf. 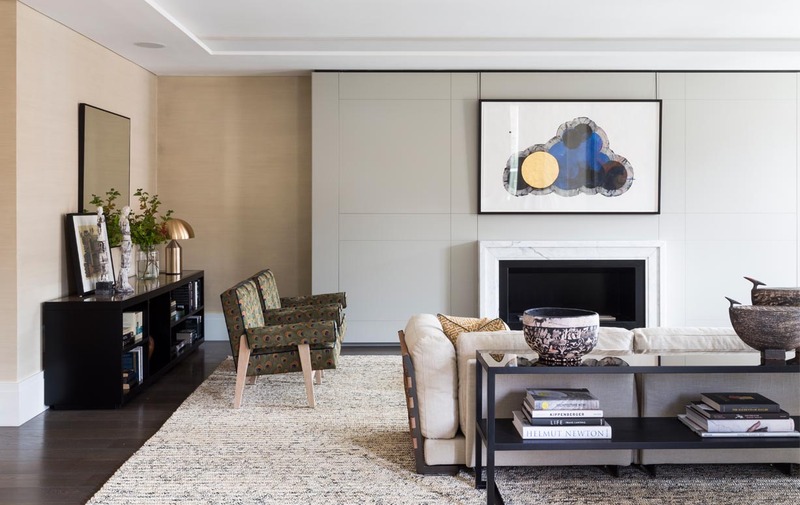 A collaboration between Award Winning interior design studio Studio Ashby and Caiger Contemporary Art enabled a commission initially for three works for a fire surround in a large family room of a Chelsea Apartment in London. The side elements were removed after the installation shots (below) for the final scheme.